This painting was done instinctively according to what I felt looked pleasing. I like swirly shapes and texture, dark colours and contrast. 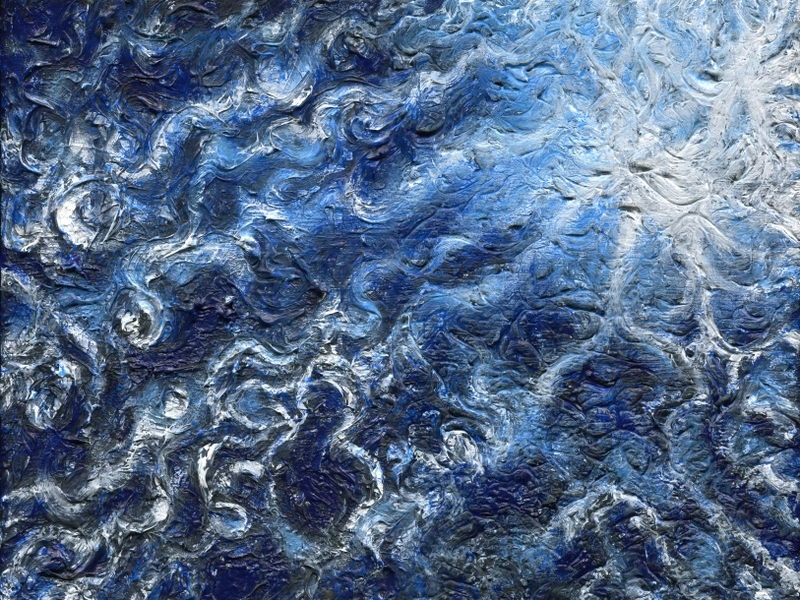 I felt that limiting the colours to blue, black and white would make the painting a celebration of blue.